Torn between two classic Taco Bell favorites? 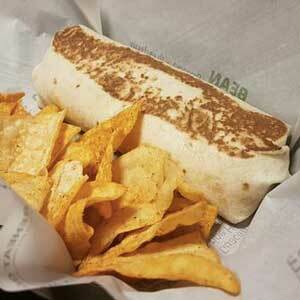 No need to choose as Taco Bell rolls out its newest item on its menu – the Quesarito. 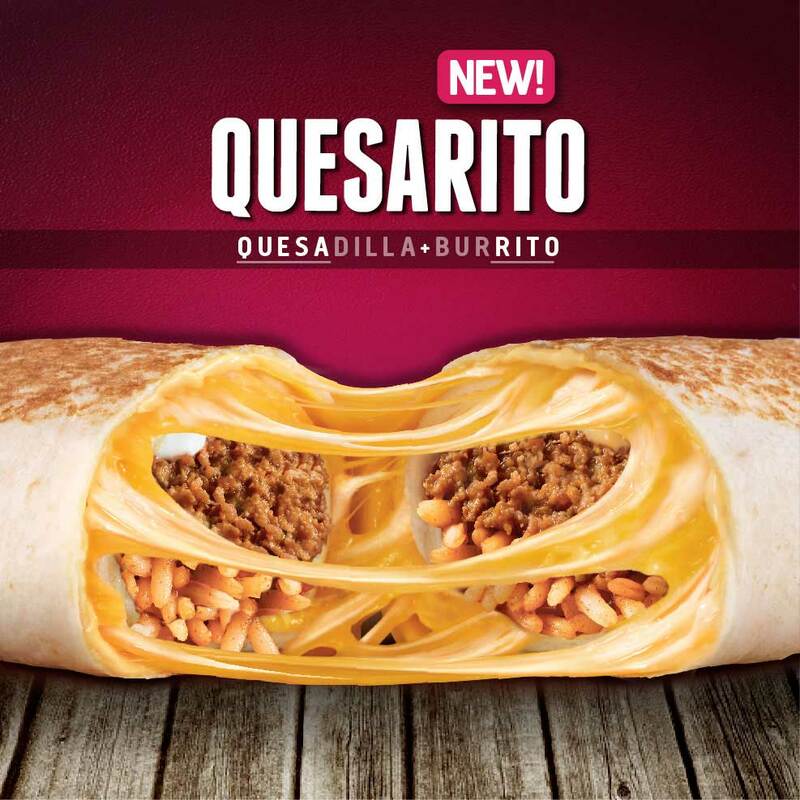 The Quesarito, as the name suggests, is a mash-up between cheesy gooey quesadilla and beefy meaty burrito. Imagine a Quesadilla made with Taco Bell’s signature three cheese blend and nacho cheese sauce wrapped around a burrito filled with seasoned beef, Mexican rice, cool sour cream and creamy jalapeno sauce. Its two delicious flavors coming together to create something truly extraordinary! I had the opportunity to try the Quesarito meal for myself when I went to Taco Bell at the Ground Floor of Gateway Mall in Cubao. I usually like to drop by there on my way home from work for a quick bite and I was checking to see if there was anything new. And to some extent it is! What makes it different? Why everything that makes a burrito and a quesadilla different from plain old rice and cheese, of course! All the filling. 🙂 Add to that the side order of chips and a drink just complete the meal perfectly. Try the Quesarito for yourself! Priced at P129 ala carte and P169 with nachos and a drink, this is a mash-up you wouldn’t want to miss. For more updates, visit Taco Bell’s official website at www.tacobell.com.ph or follow them on Facebook and Instagram.